The winner of the Tesla Science Award for 2018 at Ashdale Secondary College in Perth is Darshan Shah. 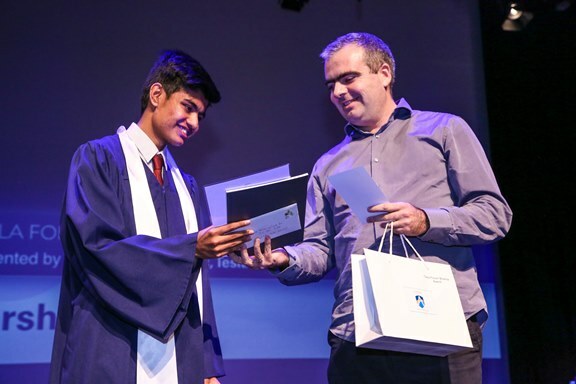 The Ashdale College Year 12 Graduation Evening was held at Kingsway Christian College Auditorium on 25 October 2018. 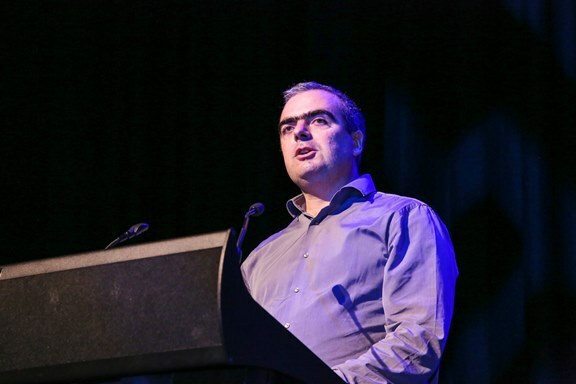 The Tesla Forum was represented by Bojan Milanovic, Tesla Medals & Awards Officer, who presented the award to the winner. Following the presentation of Graduating Class Certificates to students and music program, awards were presented to the best students in all fields of study. 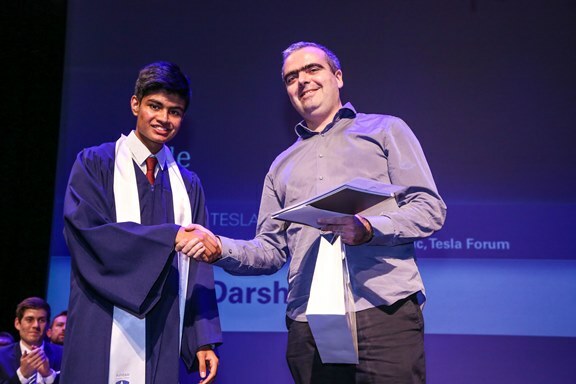 Darshan Shah – the winner of Tesla Forum’s “Tesla Science Award”, further demonstrated his outstanding achievements and talent by winning a few more awards in other courses. The ceremony was well organised, and representatives of Ashdale College expressed appreciation for Tesla Forum’s support.